Several years ago, FIRST recognized a growing interest in STEM in younger students as well. To solve this, an alliance between FIRST and the LEGO Group was formed creating FIRST LEGO League (FLL) . FLL is geared for students in grades 4-8 (ages 9-14). Each team consists of students and their mentor/coaches. 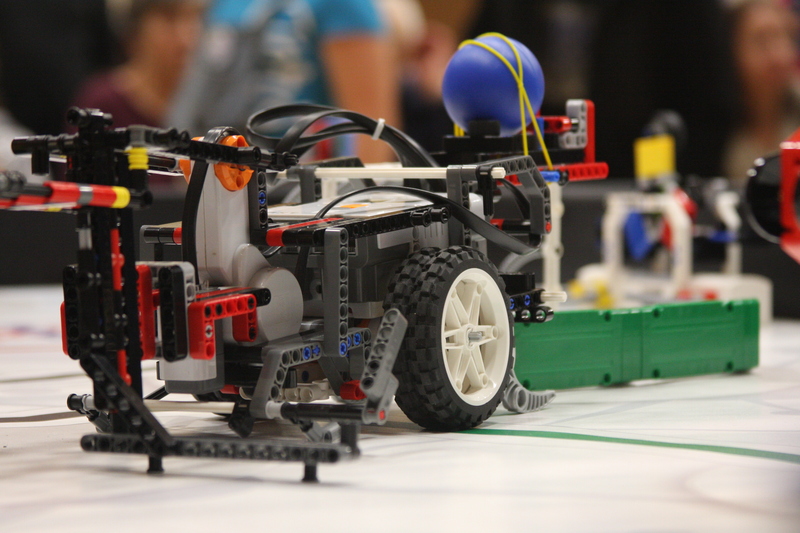 The state of Iowa has over 400 FIRST LEGO League teams. FLL, like FRC, involves teams building a robot that can participate in a game that changes every year. FLL teams build and program autonomous robots (using LEGO® MINDSTORMS®) to score points on a themed playing field and create a solution to a problem as part of their research project. The Robot Game and Project – make up the Challenge. FLL teams have the opportunity to learn concepts such as teamwork, programming and engineering. Qualifying teams can participate in the Iowa FIRST LEGO League Championship held at Iowa State University in Ames, Iowa. Since 2005, FIRST team 525 has given an FRC exhibition at the Iowa FIRST LEGO League Championship. In September, the challenge is released and most teams spend about 8 weeks to design, build and program their robot. Each year the game involves a 4 foot by 8 foot playing area. There is a mat that goes on the board, and LEGO playing pieces that are attached to the surface. Each team designs, builds and programs their robot to complete all or as many challenges as possible in 2 1/2 minutes. Points are scored for each completed challenge. Since 2008, FIRST Team 525 has hosted the Cedar Falls FIRST LEGO League Regional Qualifier. Each year has gotten bigger and better, and starting in 2012, we have also hosted a FIRST LEGO League Jr. exposition. This year, we had 36 teams from all over Iowa attend. The event includes robot matches, project presentations, and core value activities. 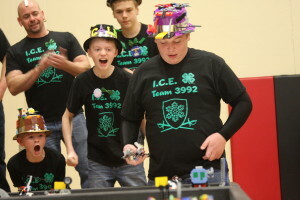 Since 2005, FIRST team 525 has given an FRC exhibition at the Iowa FIRST LEGO League Championship.